Pirate rock! Avast! 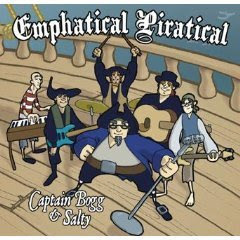 Captain Bogg & Salty's Emphatical Piratical is a real treasure for the kids. There's lots to enjoy here - from silly sailor jigs like "Don't Drink the Sea Water" to surf-rock rave-ups like "The Plank-Walker." A couple tracks - like "Waltz of the Waves" and "Who's at Captain's Table" - even call to mind fellow nautically-disposed Portlanders, the Decemberists. Check out this rocking clip of "Never Smile at a Crocodile." These guys get the kids dancing! See for yourself - Captain Bogg & Salty set sail for Symphony Space this Saturday, March 28th, at 11:00am. For more information visit: www.symphonyspace.org/series/77 or visit the crew at www.eatalime.com. 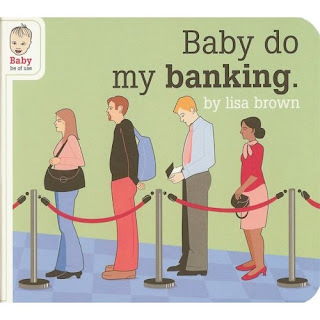 There's not much to say about these board books. They are exactly what you would think. And they are hilarious. From those lovable, daffy folks at McSweeney's. 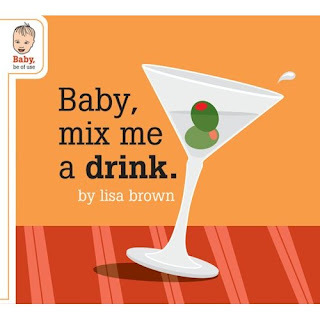 Personally, I would love to see McSweeney's seriously explore its preschool tendencies. They could do some brilliant kids publishing if they set their mind to it.